Are you looking to enhance the appearance of chipped, stained, or otherwise imperfect teeth? Learn how direct bonding in Arlington Heights works. Sometimes minor cosmetic imperfections can impact your smile in a major way. 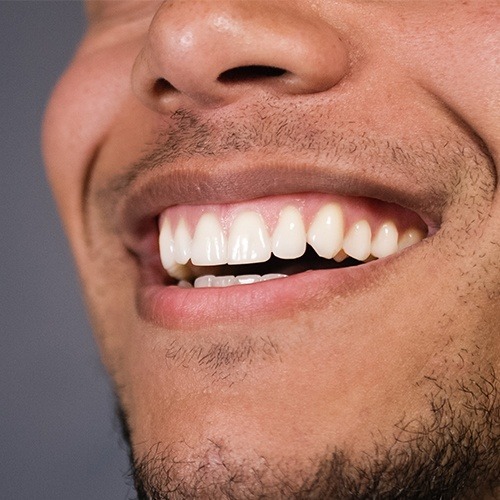 Fortunately, there is a wonderful solution for chips, slight stains, small gaps, and other issues that may affect your front teeth -- it’s called dental bonding in Arlington Heights, and we are pleased to offer this cosmetic treatment here at Westgate Dental Care. Dental bonding is an affordable, nonsurgical treatment that allows your dentist to cover up and smooth over damaged or uneven tooth enamel. During this treatment, a biocompatible composite resin made of natural materials is placed over the affected area and sculpted to look just like your natural tooth -- but better. The material can be customized to ensure that the shade matches your surrounding tooth enamel for a wonderfully natural appearance. What Is the Procedure for Dental Bonding? It takes just a single appointment to enhance one or more teeth with dental bonding. 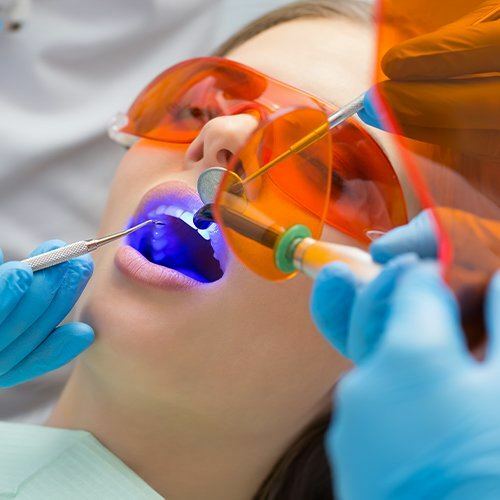 Because this is a nonsurgical treatment, you will typically not require anesthesia (unless you prefer to undergo light sedation to calm any nerves you may have while you are in the dental chair). First, we will completely clean, dry, and isolate the treatment area. Then, the bonding agent, which will have been custom shaded in advance to match the surrounding teeth, will be applied onto the tooth’s surface. With an artistic vision, your dentist will sculpt the material into the appropriate form -- expertly repairing chips, stains, and other imperfections. When everything looks just like it should, the resin will be hardened within minutes under a special ultraviolet light. The area may need to be evened out after it has been hardened to ensure you can bite down comfortably. And that’s it! Your smile can be dramatically enhanced in a single appointment with dental bonding. Patients of all ages and stages of life can benefit from this procedure. If you are bothered by the appearance of any of the imperfections listed above and would like to undergo a cosmetic dentistry treatment to enhance the appearance of your smile, chances are good that dental bonding is an excellent solution for you! The only way to find out is to contact our office to schedule an appointment with your cosmetic dentist at Westgate Dental Care today.